Still can’t decide on which Flavors you want to order? we have put together a best seller sample pack for you to try and rate on your own. This sample pack features the highest quality and best tasting E-liquids in the Vaping industry. Snub Nose RDA is the new atomizer from VPRS that features a low profile deck and top cap. The Snub Nose RDA has a 4 post design on the deck with two negative posts milled directly in the deck and a deal square positive post. 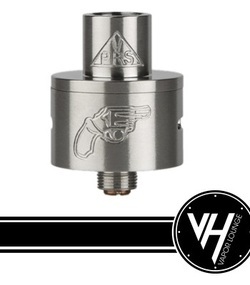 The Snub Nose RDA is made in the USA with a snub nose handgun and VPRS logo engraved into the cap and drip top. Our mission is to become a market leader in the emerging cigarette and “vaping” industry and, in doing so, create value for all shareholders.Here in California if we don’t like something -we change it – It’s just how we do things. 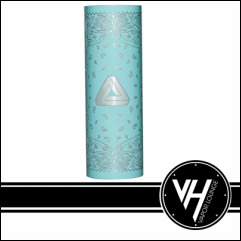 This is the new Bandanna Tiffany Blue Sleeve for the Limitless Mod. This is a Tiffany Blue sleeve with a bandanna print laser engraved into the paint. If you are looking to separate yourself from every other mod out on the market, then you need to pick up a Bandanna Tiffany Blue Sleeve. The new DOD sleeve is a one of a kind, all color, hand designed sleeve. The DOD design represents the day of the dead face, with a skull that has the Limitless triangle in it. The outside design has red roses, and really pops. 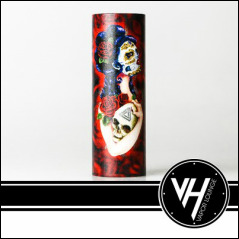 If you are looking for a custom sleeve, the DOD is a great edition to your Limitless collection. The Mini Volt Box Mod Kit is the newest box mod to hit the market from Council Of Vapor. The Mini Volt Box Mod is one of the smallest box mods we have ever seen in the vaping market. 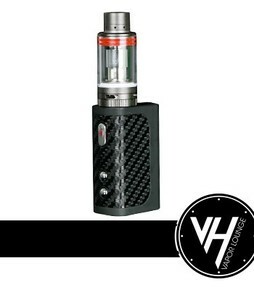 The Mini Volt Box Mod Kit has a 40 watt chip and built in 1300 mah battery. The Mini Volt Box ModKit has 3 different power level settings that you can adjust for the performance. The Mini Volt from COV has a real carbon fiber grip and durable paint for a good sturdy grip. If you are looking for one of the smallest box mods on the market, at an affordable price, pick up the Mini Volt Box Mod from Council Of Vapor.The Mini Volt Box Mod Kit also includes a mini vengeance tank ohm of the most popular sub ohm tanks in the market, including a .8 coil to increase battery life.